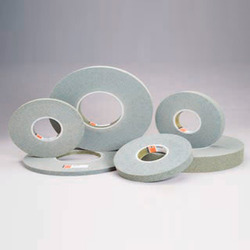 Manufacturer & Supplier of Segment Abrasives. Our product range also comprises of Swing Frame and Grinding Wheels. Available with us is a wide and commendable range of Abrasive Wheels. The products offered by us are used for cutting & grinding very expensive material and making slots of varied thickness. Clients can avail these products from us in various diameters and sizes, depends on the thickness of the wheel. Moreover, our experts make sure that these products are delivered at patrons' end within the committed time-period. 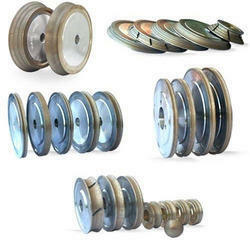 We are the prominent manufacturer, supplier and trader of Abrasive Cut-Off Wheel, these are manufactured from high grade quality material, and are easily available at very reasonable price in market. These are highly appreciated by our client due to their unmatched quality and unbeatable price. These are designed under the guidance of our experts and by using best grade raw materials. We also check our range on the various quality parameters and make sure that it is free from any defects. Excellent finish and high performance.